The Collaborative Life Sciences Building (CLSB) is part of an interdisciplinary, multi-institutional campus located on the South Waterfront in Portland, OR. 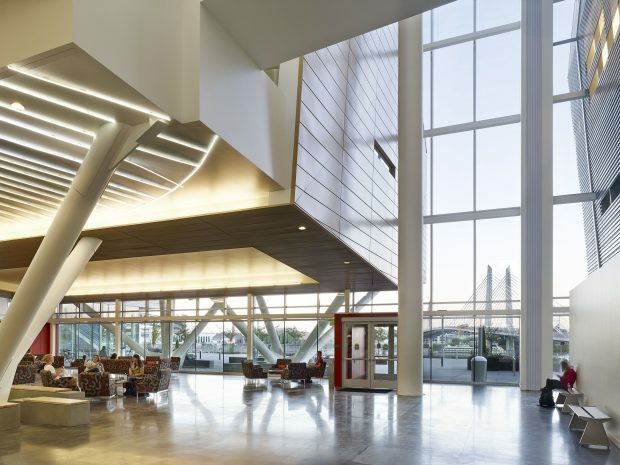 The building’s open, transparent atrium features four points of entry to serve as a crossway for visitors heading toward their destinations. 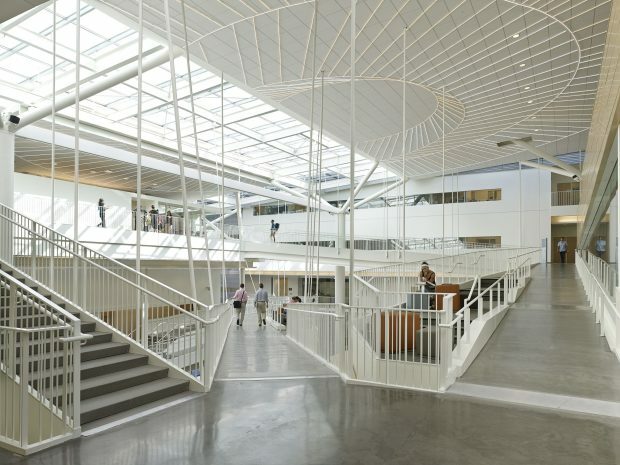 Suspended walkways are a commanding feature, and, literally, bridge the gaps between disciplines. 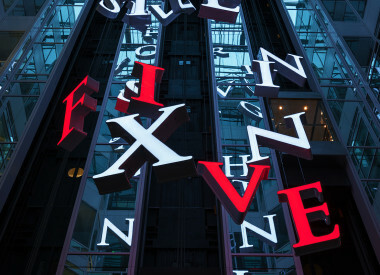 The architects worked closely with the client and other stakeholders to select the atrium’s signature element: a bold, one-of-a-kind, site-specific installation by Los Angeles-based artist Pae White. 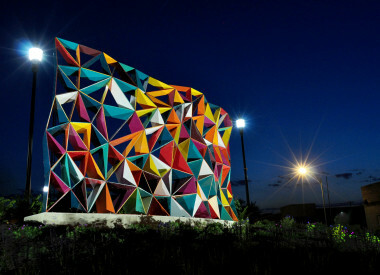 The artwork was funded by the Oregon Arts Commission’s Percent for Art Program. 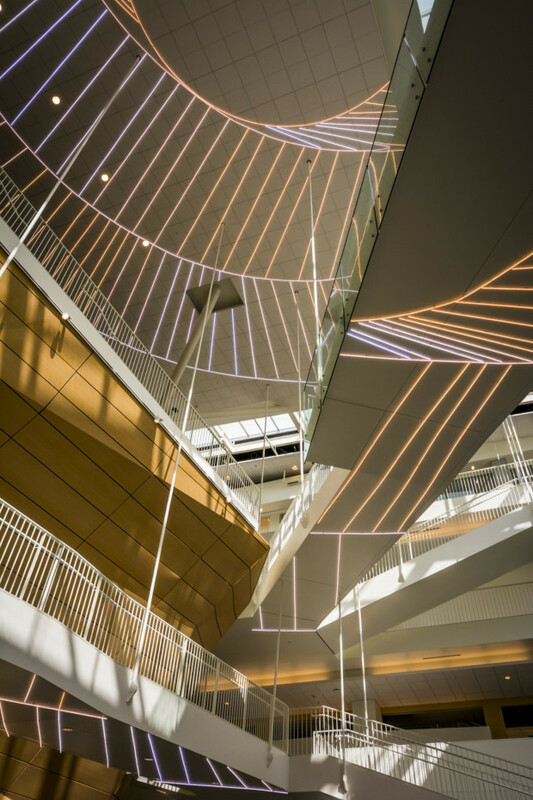 By evaluating the building’s environment, White conceptualized a provocative art piece, Fauxcilitator, using GE LED (light-emitting diode) contour lighting tubes in a spectrum of color temperatures across atrium soffits based on the changes in daylight. The title is a pun on the installation’s “faux” daylighting and the dependency on facility engineers for its maintenance. While considering all elements—location, people, architecture, weather—White pondered two major factors: Portland only receives 68 days of sunshine in an average year and 53% of college students (according to the American Psychological Association) experience some form of depression. 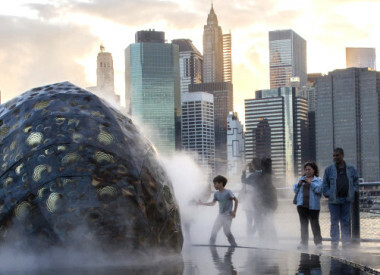 These findings inspired her to create an artwork acting as a gigantic SAD (Seasonal Affective Disorder) lamp. 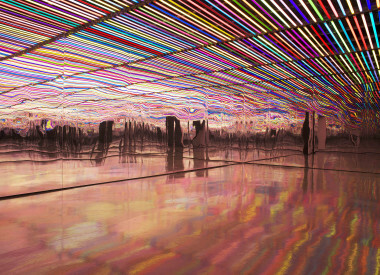 The installation references the scientific hypothesis for lifting mood and stimulating well-being through the production of artificial daylight. 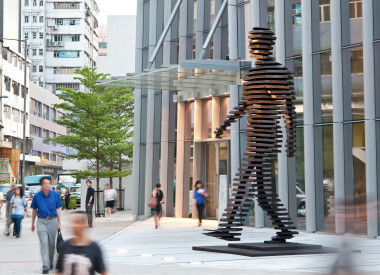 The installation contributes to CLSB’s function as a place of learning and speculation, as well as connects with its site and surroundings. It serves as the “what-if” in medical education and plays off the atrium’s dynamic energy of crossing paths. White selected pre-fixed LED color temperatures based on the six steps of daylight determined by the Kelvin temperature measurement scale. Light temperatures range from cool (6500K) to warm (2700K), emitting colors associated with the effect of ambient mood. Cooler lighting temperatures cast shades of blue, mid-range appear white, and warmer tones emit red, orange, and yellow. This color palette corresponds to different times of day with cool temps representing morning light and warmer temps mimicking sunset or evening shade. 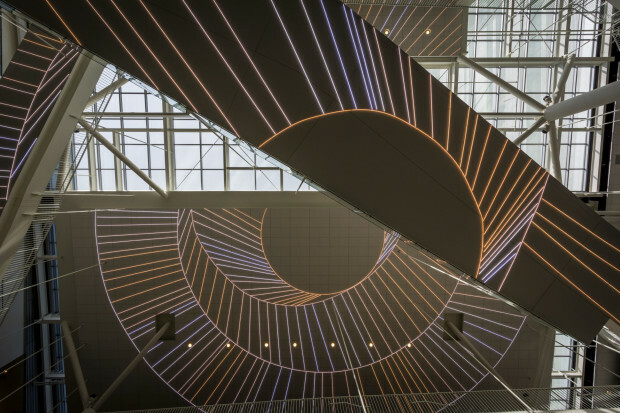 The circular-shaped art piece is fragmented across five atrium soffits of varying height from 15 to 75 feet while still appearing visually symmetrical. An oculus serves as a secondary plane to deliberately place the installation off center and play with the dynamics of the building. The artwork’s graphic clearly asserts a core, but by being fragmented in its distribution, the center and impulse for alignment is questioned and provoked. The piece not only complements the architecture’s intended use, but adds a layer to the project that enriches the experience for people. 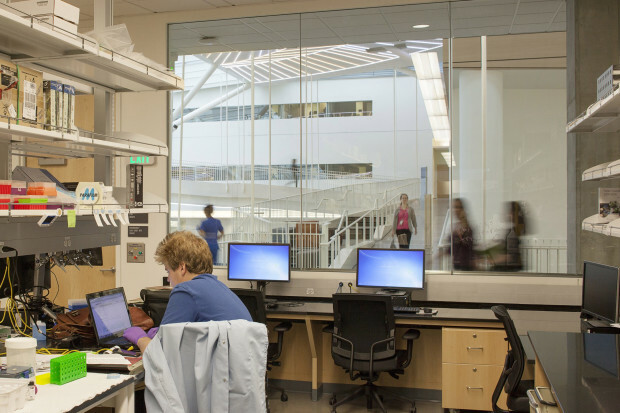 It can be seen from numerous vantage points, including classroom and lab spaces, the adjacent Skourtes Tower, across the street, and from the Willamette River. White’s selection of LED contour lighting contributes to CLSB’s sustainability program by providing energy efficiency, cost reduction, and lower overall heat generation. Although the installation is continuously in use, the lighting system dims down to 40% operation every evening to further conserve energy. 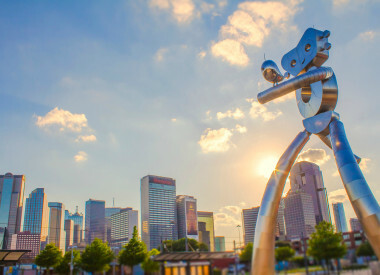 CLSB’s diverse sustainable features have received LEED Platinum certification. 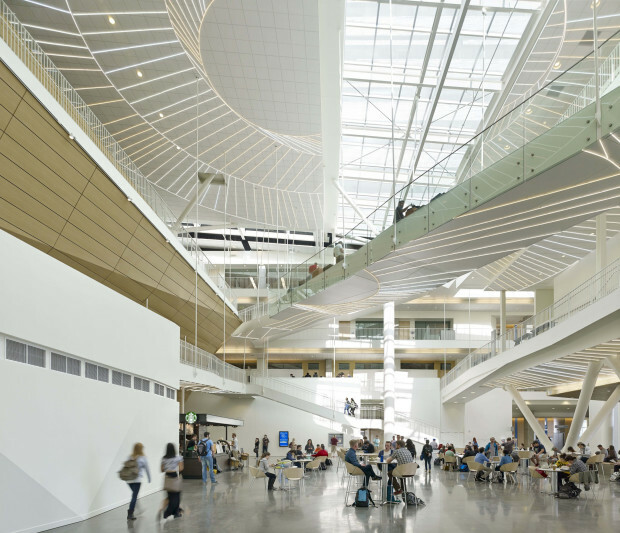 Also, the AIA National Committee on the Environment (COTE) named the $232-million complex a 2015 Top Ten Green Project recognizing the building’s creative integration of sustainable design strategies.